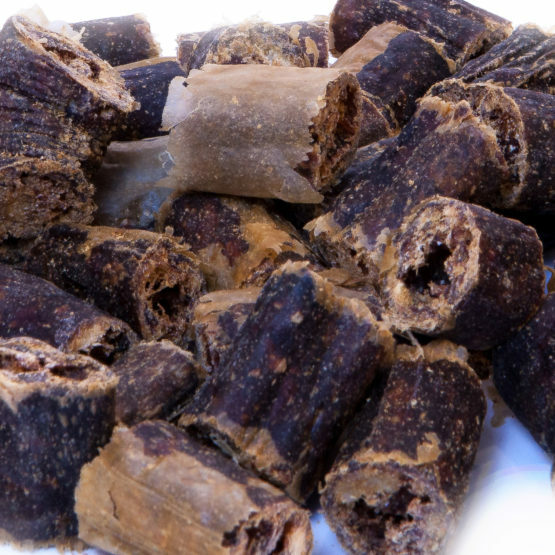 Raw inspired these single protein, 100% Tasty Turkey yummies are utterly irresistible! 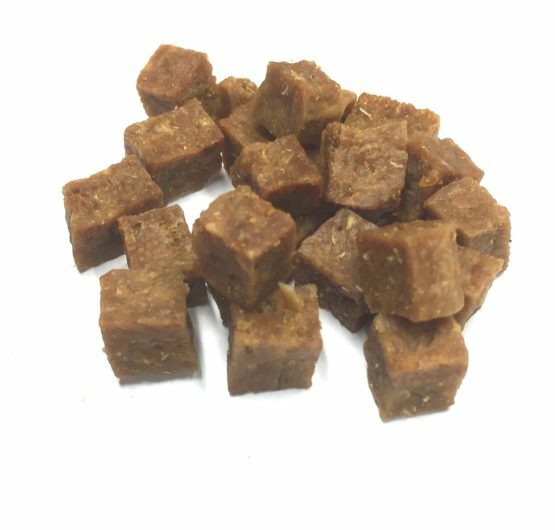 Free from any grains these chewy little bites are easily transportable and make a great training treat. Store in a cool dry place. 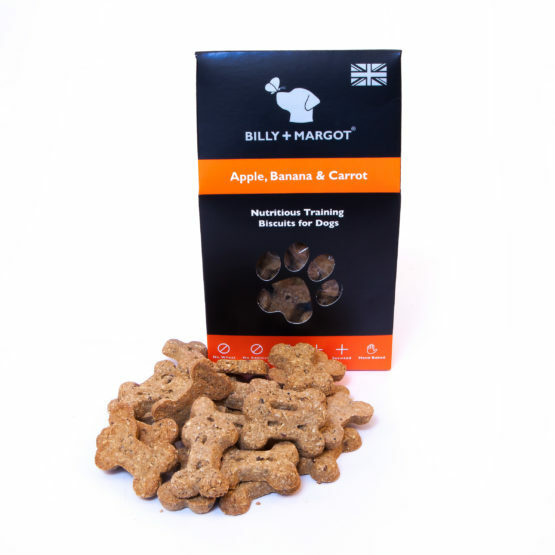 No Wheat No Additives Pure Fruit Linseed Oil Seaweed Lovingly hand prepared and oven baked in Britain Billy + Margot nutritious biscuits are wheat gluten free and are lovingly oven baked in Britain using the finest ingredients. 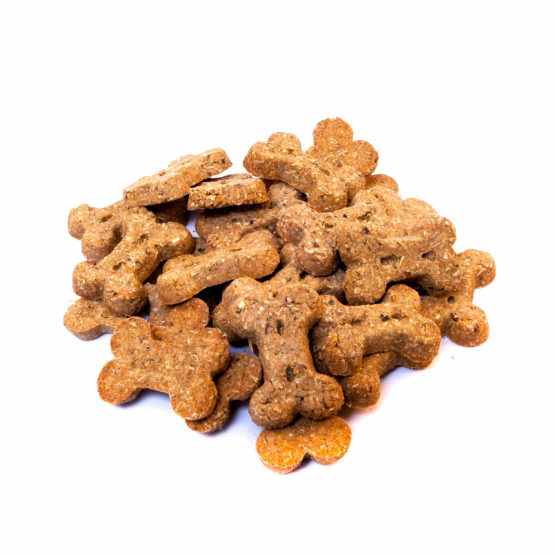 With the help of our pet nutritionist, we have carefully selected each ingredient for their nutritional properties. 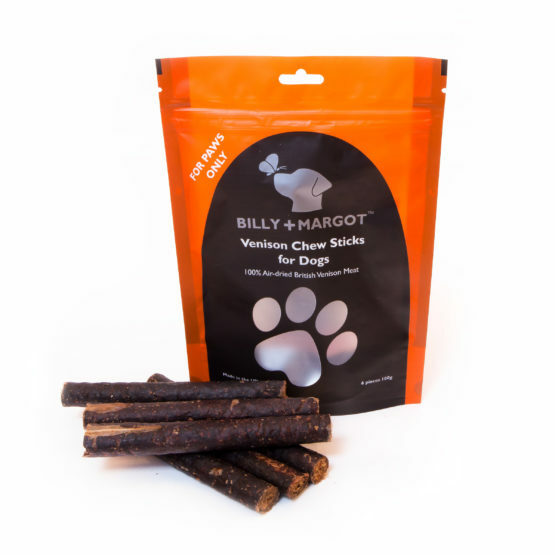 Composition: Oat, Barley, Carrot, Chicken Fat, Apple, Seaweed, Linseed, Banana, Yeast Extract, Cinnamon Analytical constituents: Crude Protein 10%, Crude Oil & fats 12.5%, Crude Fibres 4%, Crude Ash 3%, Energy 375kcal/100g Feeding guide: feed up to ten treats per day depending on dog size and activity. Fresh drinking water should always be available. 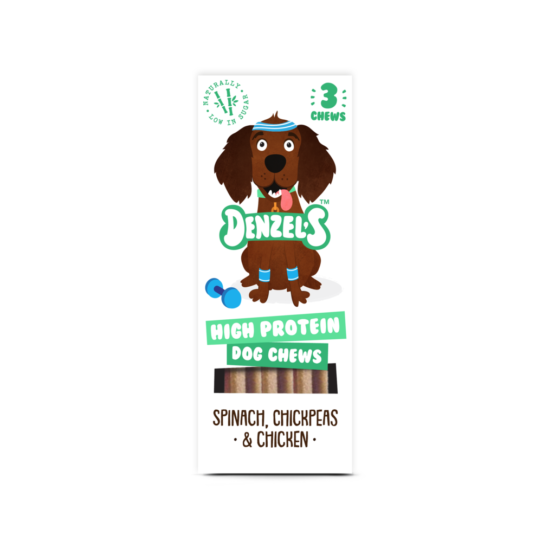 Denzel's dog snacks are made from 100% natural ingredients, gently baked in the UK into tasty, snack-sized chews We use real chicken, spinach and chickpeas to cram this chew with healthy proteinsproviding a vital, lean source of energy to keep your dog fit and healthy. 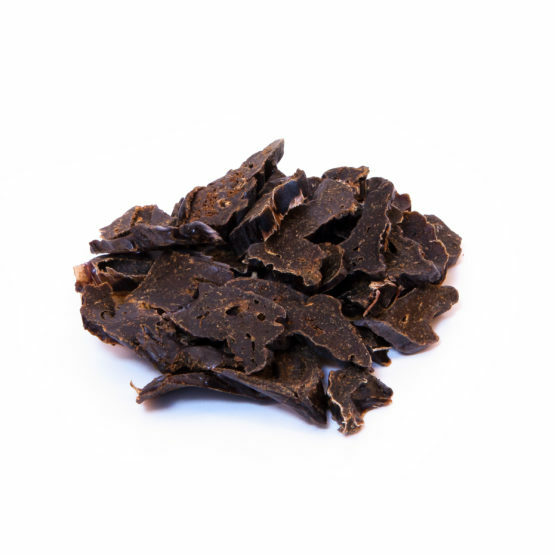 Spinach is high in Vitamin C and Iron to give extra immune support (and super shiny fur). 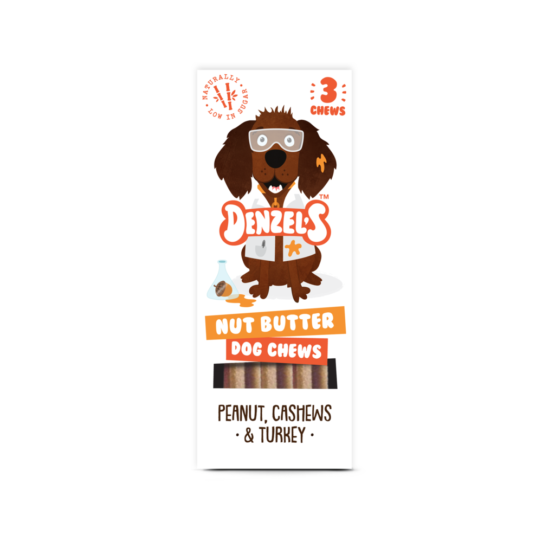 Denzel's dog snacks are made from 100% natural ingredients, gently baked in the UK into tasty, snack-sized chews We blend tasty peanuts, cashews and coconut oil together to make a nut butter chew, providing a fantastic source of protein and fibre. 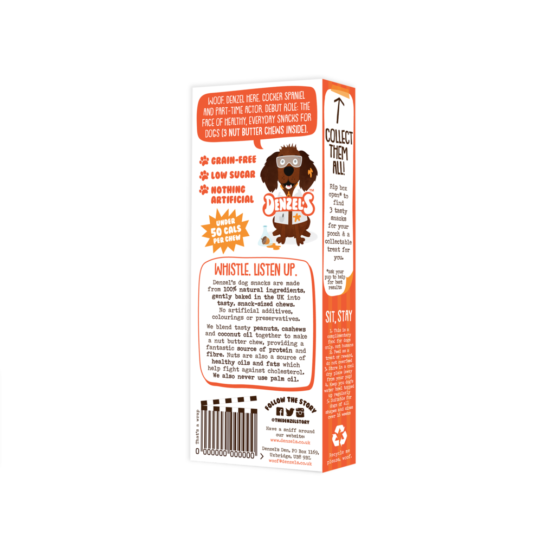 Nuts are also a source of healthy oils and fats which help fight against cholesterol. 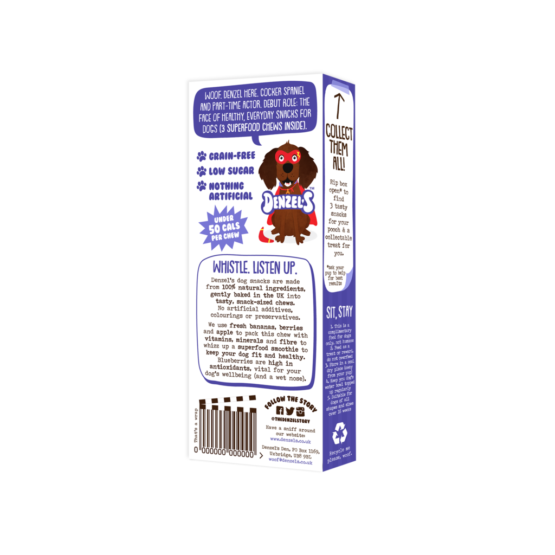 We also never use palm oil. Denzel's dog snacks are made from 100% natural ingredients, gently baked in the UK into tasty, snack-sized chews We use fresh bananas, berries and apple to pack this chew with vitamins, minerals and fibre to whizz up a superfood smoothie to keep your dog fit and healthy. 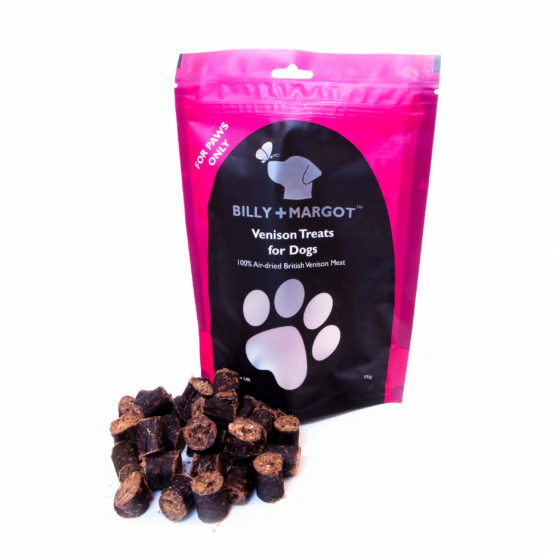 Blueberries are high in antioxidants, vital for your dog's wellbeing (and a wet nose). 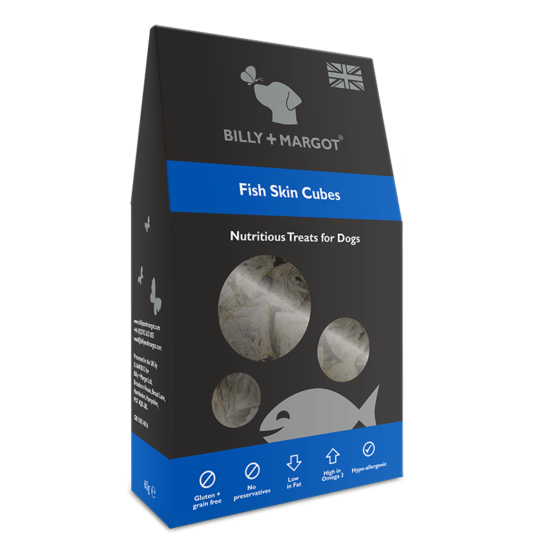 100% Whitefish skin treats – squares Produced in England by Defra approved factory. 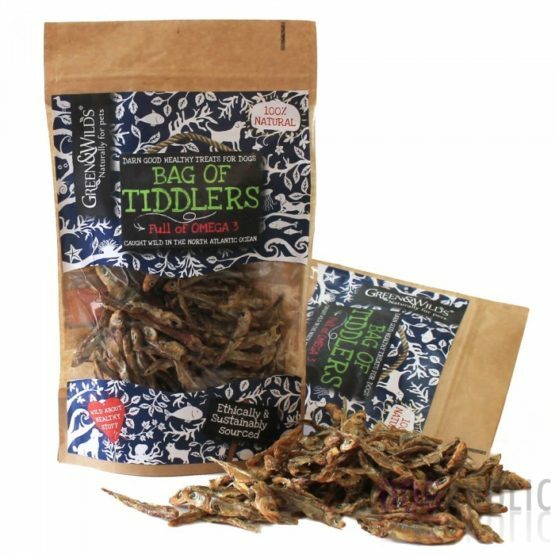 The fish is carefully selected from sustainable sources with full traceability from EU waters. 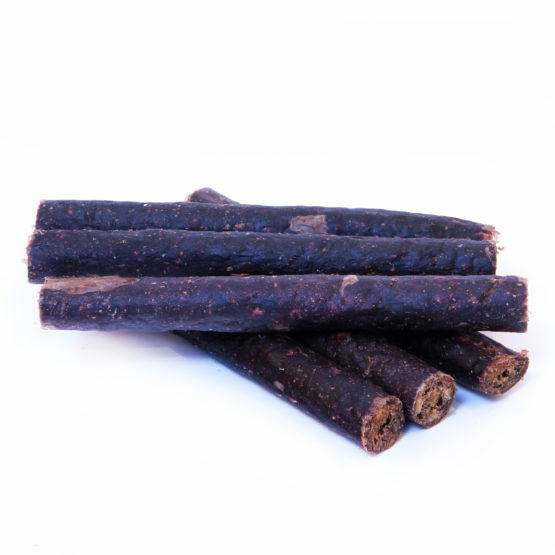 Ingredients: Whitefish skins Typical analysis: Crude protein 84.4%, Fats and oils 0.3%, Crude fibre 9.2%, Crude ash 17% Feeding guide: Feed up to ten treats per day depending on dog’s size and activity. Fresh drinking water should always be available. 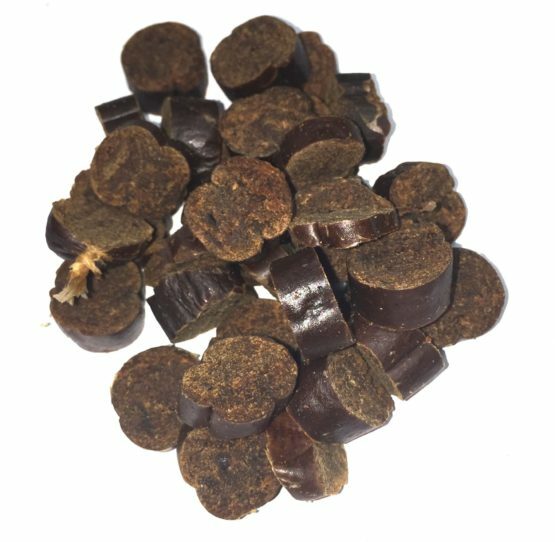 Store in cool dry area, out of sunlight and sources of heat. 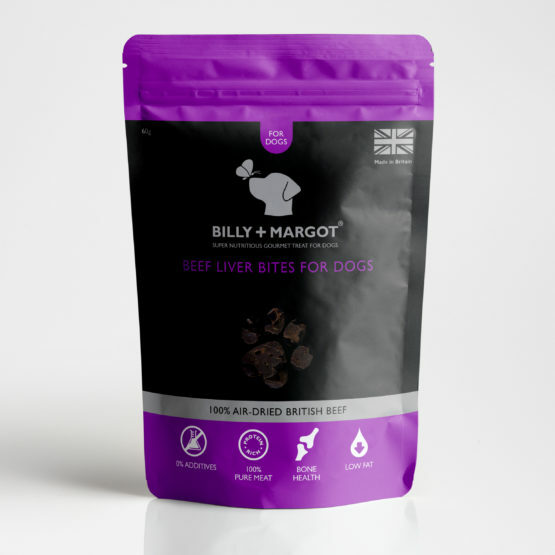 These are ideal for all dogs, including puppies, but especially for senior and overweight dogs and those with sensitive digestion. 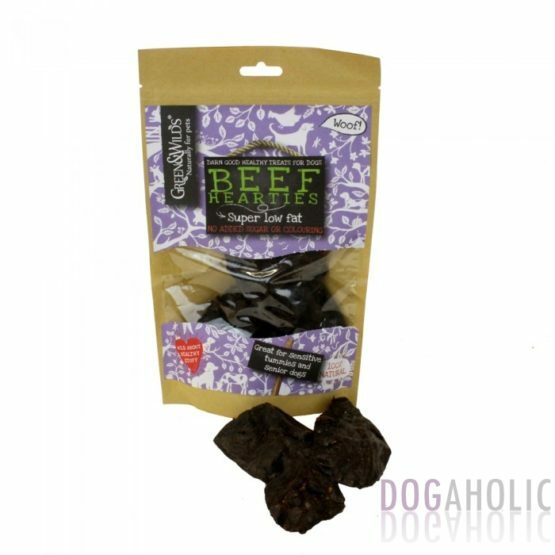 These treats are an all-natural product and are 100% meat, without artificial colourings or preservatives.